This beautiful state of the art semidisplacement Megayacht is considered the flagship of the Greek charter fleet. 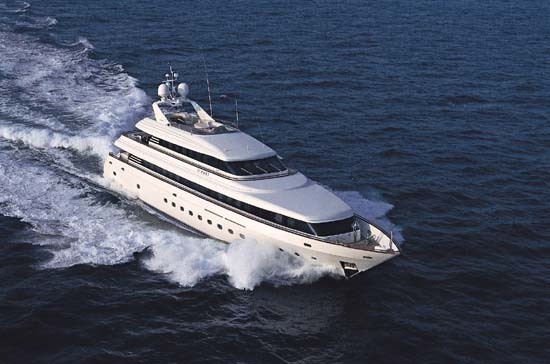 Launched in 1997 by Intermarine Spa, Italy, she is well built, appropriatly planned, designed with sobriety and classical elegance featuring unusually large spaces. Giorgio Vafiadis is responsible for the design of this truly remarkable yacht. 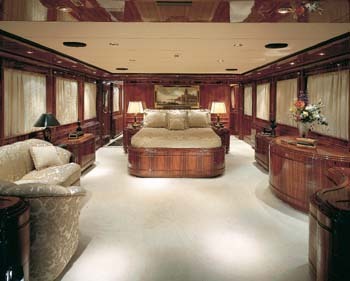 Her luxurious interior is adorned with mahogany panelling, hand made fabrics and custom made carpeting. OPARI meets and exceeds international standards. 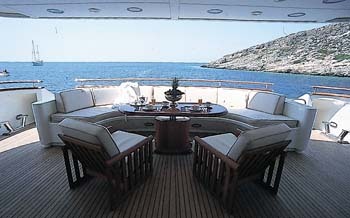 This charter yacht will satisfy the most demanding client. OPARI is unique. 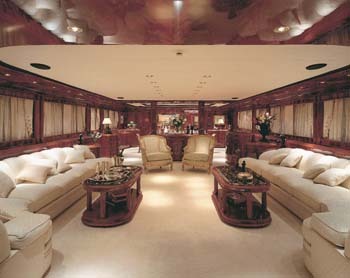 ACCOMMODATION : For twelve guests in six luxurious staterooms. One master suite with jacuzzi tub and shower room in the bathroom on the upper deck. One VIP suite with study on the centre deck forward, also with jacuzzi tub in the bathroom. On the lower deck; two double staterooms with jacuzzi tubs in the bathrooms and two twin staterooms, with shower rooms in the bathrooms. These two twins are separated by a sliding partition that allows them to combine into one large stateroom. 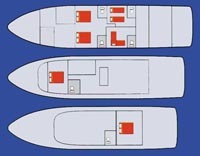 All staterooms have walk-in closetsCrew in separate quarters.